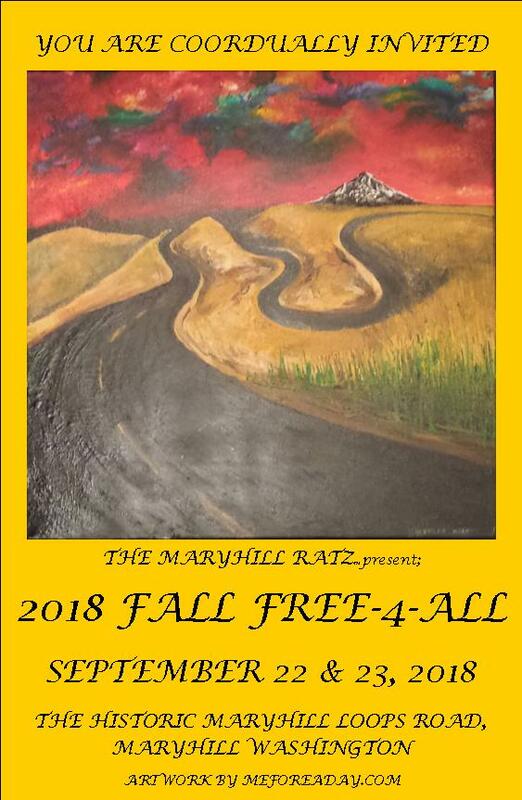 The Fall Free-4-All at the Historic Maryhill Loops Road is just gathering of friends and world class athletes for a weekend of fun riding and racing skateboards down the legendary Maryhill Loops Road. A Free-4-All is just as it sounds, anything goes. This event is open to all skill levels and any gravity powered vehicle is welcome. Do you like riding in large packs? Then the Free-4-All’s are for you! The pack riding at a Free-4-All is legendary so come and be a part of some of the largest packs anywhere in North America, and quite possibly the world. There will be some racing, including the Zealous Bearings outlaw race on Saturday and the Maryhill Race of Champions on Sunday. There are no refunds. You cannot resell your entry. There will be a waiting list if the Freeride sells out. Because anything can and will happen in when pack riding, a Full Face Helmet, Gloves, and Leathers are REQUIRED. We will offer the “No Leather Tax” of $20 for the weekend (paid in cash on-site as a donation to the EMT’s), which will allow you to ride the hill without leathers. Spectators and supporters are welcome, be sure to bring your camera and sunscreen!